A conceptual effort taking real-life stories and adapting them into the storyline of a psychopathic loner and serial killer, Italian band 6th Counted Murder want to blaze their own trail with this second album Individual. Six years removed from their self-titled, self-released debut, they’ve gained a new vocalist in Simone Dalamar Paga since 2016, as well as a new deal with Sliptrick Records – hopeful to spread their mixed thrash/death with progressive and melodic sound to a wider array of metal followers internationally. It’s evident throughout that this five-piece come from a place of aggression and brutality, tempering the proceedings with the right dose of cohesive guitar accents, fluid musicianship enhancement, and a varied gruff to clean vocal approach to ensure maximum dynamic possibilities. The buildups musically often throw the listener into foreign territory – one by one the instruments reach a crescendo during the beginning moments of “Scent of Despair”, only to take the arrangement into a cleaner atmospheric angle during the mid-section before the twin guitars and semi-blast beats careen the savage energy back full fold. Simone as a singer can do everything from Lamb of God/Pantera raspy screams to this clean eeriness that lends itself well to say a more gothic texture – it’s a quality that most bands in the thrash/death genre do not utilize enough. Add in the progressive bass abilities for Alessandro Ferraris that keep “Near Death Experience” and the mechanized melodic death movements within “Cloud Nine” standouts, and it’s clear to grasp that this band gives the listener layers of substance in the songwriting to dive deep upon. You could feel like you are listening to The Haunted meets early In Flames one moment, then something Bay Area thrash-like against Iron Maiden the next – while the vocals provide that underground ferocity as the screams, growls, and clean switch-ups catch you off guard. A news report filters into the finale “House of Lies”, featuring some neo-classical guitar/bass movements and fierce riff juggling, all the musicians pouring their hearts out during the blast beats and sophisticated instrumental sections. 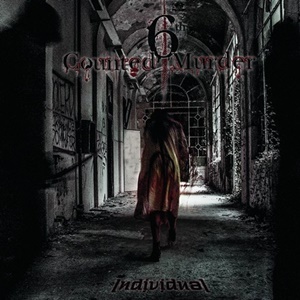 6th Counted Murder incorporate killer skillsets into a musically intriguing effort – never wavering on the melodic death/thrash platform and adding a bit of progressive texture to the mix. Individual contains the best elements of these genres and a potent storyline to keep interest high – let’s hope that the band gains more followers as a result, as this is a solid outing that most ardent fans of these genres will dig.